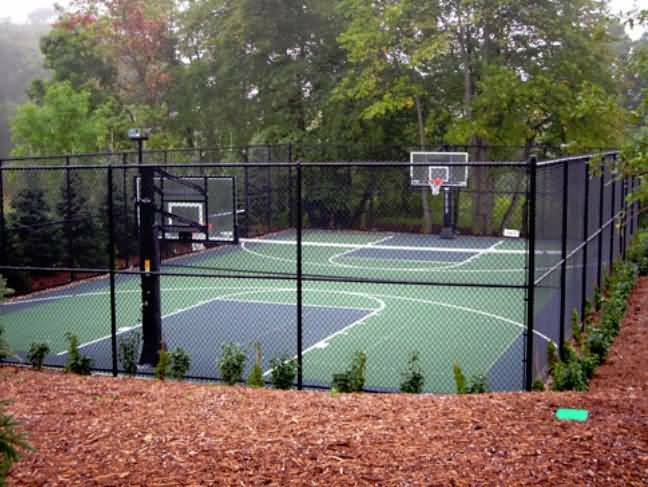 Once only affordable by posh resorts and wealthy individuals, today Versa Court has made it's interlocking tile for outside basketball courts accessible to the masses so anyone can afford a backyard basketball court of their own. 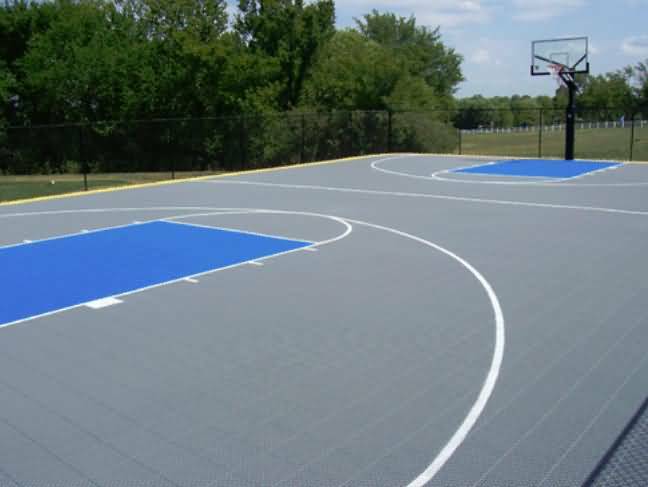 Reduces impact stress to your muscles and joints, has excellent ball response qualities, UV tiles absorb harmful rays from the Sun making your court cooler and it just plain old looks great! 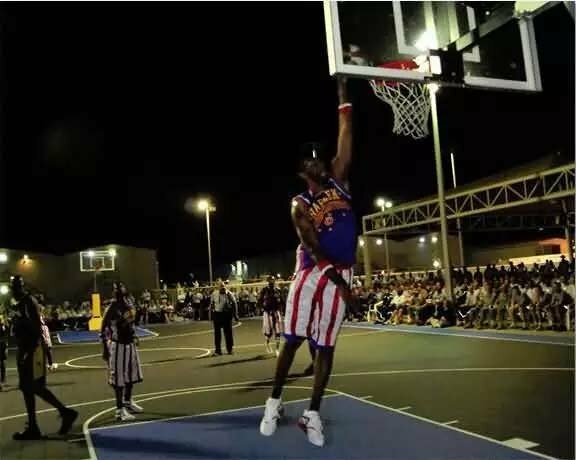 Installed in places like Scotty Pippen's backyard to the Abu Dhabi Airport in Afghanistan for the Harlem Globetrotters to entertain our troops, to the Myrtle Beach Golf and Yacht Club, and to your neighbor down the street and just about everywhere in between! 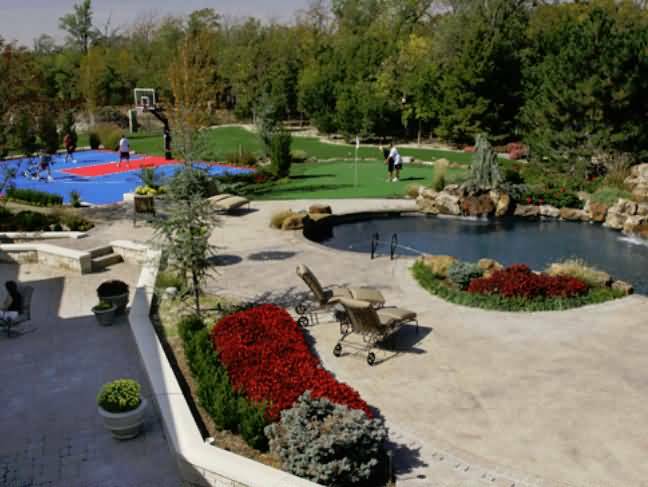 We know it will perform in your backyard every bit as well as it did for them. 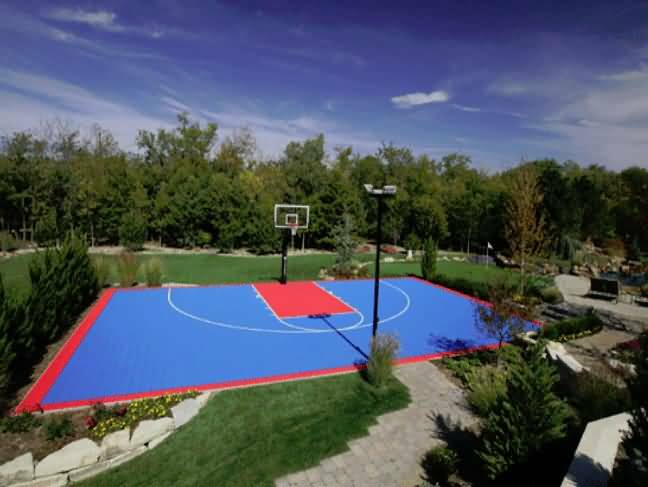 To learn how to build your own backyard basketball court click here. Click the More Info tab above for additional information. 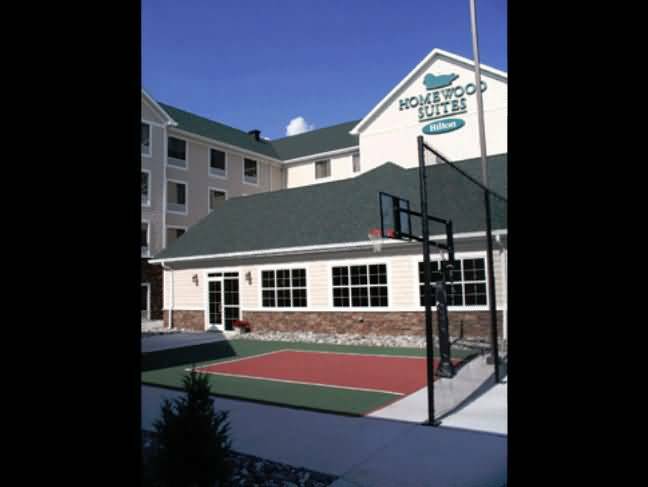 To speak with a member of our friendly staff call 860-426-1258. 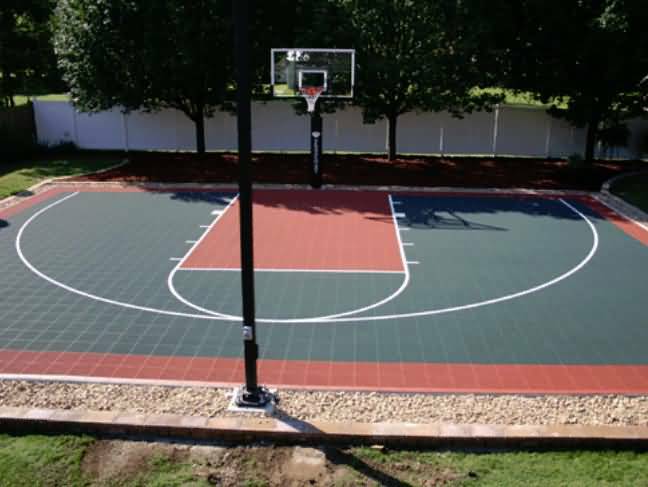 Basketball-Goals.com the first internet company to bring you online sales of basketball court tile is proud to offer the finest basketball court tile avilable today. 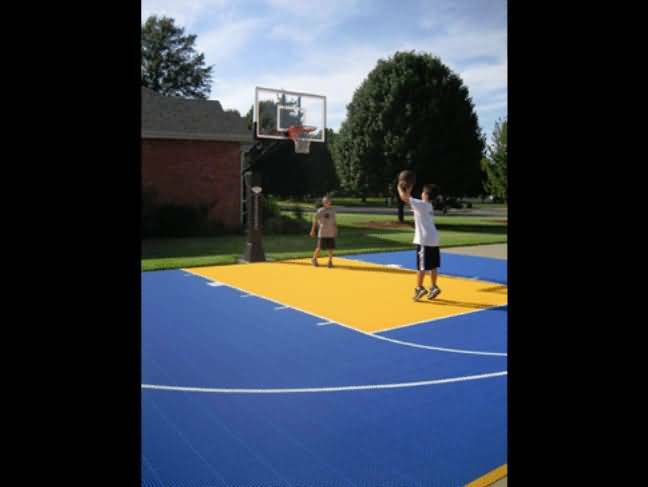 That's right before Basketball-Goals.com offered its first tile courts to the general public over a dozen years ago the only way the tile could have been purchased was from a local install dealer. 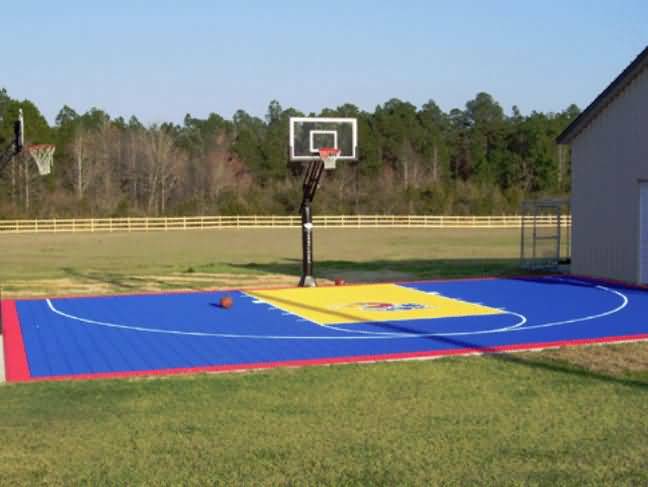 Today, VersaCourt dominants the backyard basketball court tile marketplace and for good reason. Originally designed with the help of a clinic of orthopedic surgeons, the VersaCourt tile has evolved into the worlds premiere outdoor performance sports tile. Shock absorbtion properties help protect your knees, ankles and back from the stress of playing on a traditional hard court surface. The VersaCourt tile helps enable players to practice longer and recover quicker than hard court surfaces. 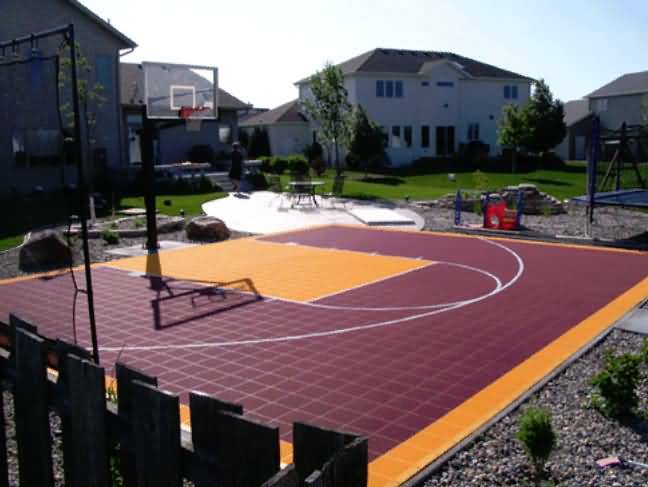 The VersaCourt backyard basketball court tile provides excellent ball reflex abilities. VersaCourt's patented 6-point locking mechanism and Swiss-designed and manufactured 16-injection point tooling allow us to manufacture the flattest, most uniform game court tiles on the market. This flatness and tight locking mechanism allows for the truest, most responsive ball bounce of any tile available today. An added benefit of the VersaCourt tile is that by using this tile you acutally help increase the life of the subsurface it's placed. 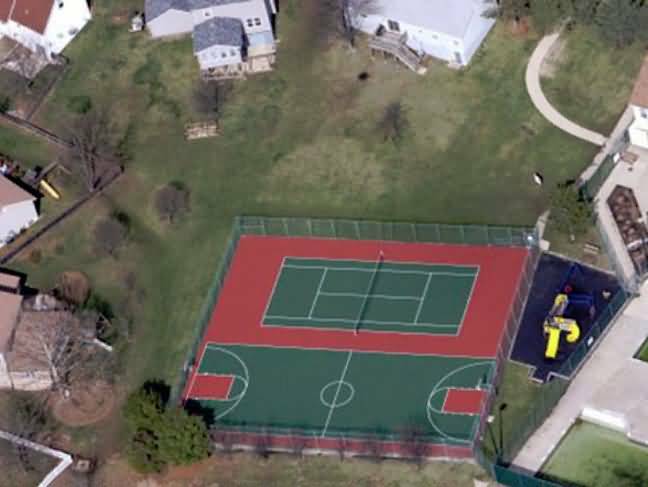 VersaCourt is designed to be placed over a hard level surface such as concrete, or asphalt and the UV protectant built into the tile help absorb damaging UV rays from the sun that would otherwise breakdown the subsurface. The same UV protectant is responsible for these tiles looking great for many many years to come. In fact VersaCourt provides a 20 year warranty on the color fastness of thier tile. 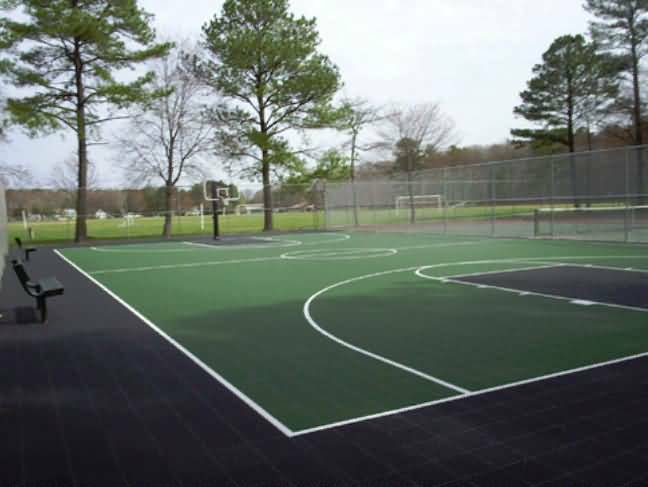 The UV protectant also actually helps lower the ambient temperature of your court making it more tolerable than other hard court surfaces. 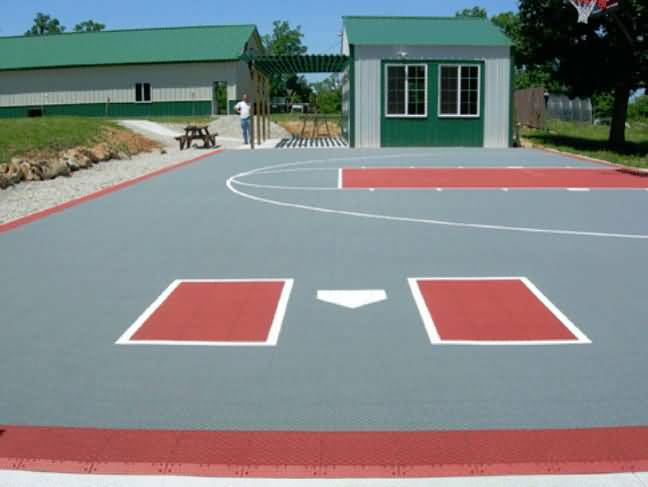 allow your court to "breathe" with the varying temperatures in your area. VersaCourt can be left out all winter covered with snow and will be ready to play when it melts. 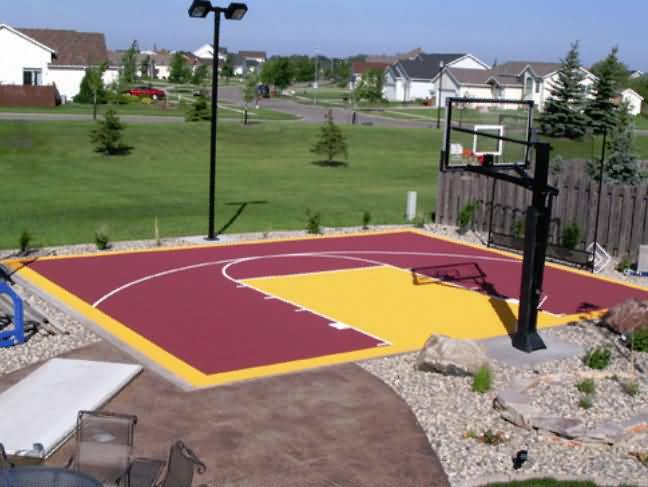 Basketball-Goals.com offer all the components one would need to complete a backyard basketball court except maybe the subsurface. We recommend concrete as a subsurface and one of the best ways to install a concrete slab is to contact your local cement company (look for the trucks in your area and call them directly). Ask them to provide you with a list of a few names of reputable companies that they do business with that do flatwork in your area. Call the referrals they supply and arrange for them to supply you with quotes. Your cement company does business with these people on a ongoing basis so they will likely recommend good quality companies for you to call. For More Information regarding the subsurface installation and to answer any of your questions call us toll free at 866-892-7277.